SAP Business One offers an affordable way to manage your entire business as an integrated whole, from accounting and financials, purchasing, inventory, sales and customer relationships, to operations, project management and human resources. More than 60,000 businesses around the world choose SAP Business One because it helps small to mid-market firms streamline business processes, gain greater insight into operations, make faster decisions using real-time data, and drive growth and profitability. Affordable. It delivers a low total cost of ownership. Comprehensive. All your departmental needs are met with a single solution. Quick and easy. It can be up and running in a matter of days or weeks. Powerful. Everything you need now and as you scale. Industry-Specific. Pre-build and tailored for your specific industry needs. Global. Offers 43 localized versions, multi-currency support, and a global user base. SAP Business One is an affordable, easy-to-use enterprise resource planning system (ERP) specifically designed for small to mid-market businesses by the world’s largest ERP maker, SAP. It is an ERP solution built from the ground up for SMBs, not a scaled-down version of enterprise SAP solutions. From financials and inventory to customer relationship management and human resources, SAP Business One integrates all major aspects of your business for end-to-end visibility, added efficiency and improved operational control. By serving as the nerve-center for your business, with all data flowing into a single, centralized system, SAP Business One enables real-time data access for faster, complete, more nimble decision-making. SAP Business One serves as an integrated solution that comes with all you need to run your business out of the box. It brings complete visibility and control over every aspect of your organization, and it captures critical business information for immediate, real-time access company-wide. Unlike spreadsheets or standalone business software, SAP Business One bring together all areas of your business for faster, more complete data access and control. At the same time, SAP Business One is highly customizable. You get the exact functionality and processes you need for your business without compromises. With a complete set of tools for managing and streamlining your financial operations, including analytics, SAP Business One gives you total visibility and control over your company’s financial picture. Automation also improves accounting tasks such as tax calculations, maintenance of ledger and journal entries, and multi-currency transactions. A systematic approach for procurement helps drive profitability and avoid supply chain disruption. SAP Business One supports the complete order-to-pay cycle from requesting vendor quotes and creating purchase requests to handling receipts, invoices, returns and supplier payments. Reporting tools built into the system help your business easily compare suppliers based on price, quality and other factors such as shipping times, which helps with spotting cost savings and strengthening your supply chain. Track and manage both inventory and distribution with complete visibility. SAP Business One provides real-time access to stock levels, inventory updates and availability checks. Inventory can be valued using costing, moving average, FIFO or other methods. Inbound and outbound shipments, including transfers and item location, can be monitored in real-time. Standard and special pricing can be managed and applied by volume, cash or customer discounts, and automated reports can show their impact. Make better business decisions with analytics and reporting tools that aggregate your operational data and highlight opportunities for additional growth. Automated report generation and real-time analytics help you make sense of your data, and SAP Business One includes a fully integrated version of SAP Crystal Reports for gathering data from multiple sources. Customize your ERP system for your particular business and industry needs. SAP Business One comes with all you need out of the box, but it also was designed for easy integration with best-of-breed and industry-specific solutions from other software providers. With more than 250 integration points and a robust software development kit for customized code, SAP Business One both works as a complete system and also can be adapted for your specific requirements. Empower employees to make faster, more informed decisions by capturing data company-wide and making it available in real-time. With SAP Business One, you can capture all sales, customer, operations and financial information and make it accessible to employees on an as-needed basis. By having all your business data in a centralized system instead of disconnected spreadsheets, you also can cut down on data entry and unnecessary employee costs. Choose a cloud deployment or host the software on your own servers. SAP Business One is available both as a cloud service and as an on-premise solution. When you choose SAP Business One as a cloud service, you also get the security, reliability and peace of mind from knowing it is run on industry-leading cloud provider, Amazon Web Services (AWS). ERP powers your entire business, so you need a software provider you can trust both now and as your company grows. As the world’s largest maker of ERP solutions and the 12th largest technology company in the world, SAP powers more than 404,000 businesses across 180 different countries. These include large multinationals such as BP, Coca-Cola and 3M, but also small and mid-market firms such as audio electronics maker, Skullcandy, and medical device manufacturer, CeloNova BioSciences. An estimated 77 percent of all global transactions come in contact with SAP software. Nine out of the 10 largest U.S. corporations use SAP, as do a third of all Fortune 500 companies. But so do SMBs, which make up 80 percent of SAP’s customer base. SAP is the market leader for ERP software, but it also is one of its pioneers. Started in 1971 by five German engineers who worked for IBM, SAP was an early developer of integrated accounting solutions (SAP stands for Systemanalyse und Programmenentwicklung, which is “systems analysis and program development” in German). As the industry grew and expanded, so did SAP’s market-leading integrated business systems, eventually encompassing financials, human resources, materials resource planning, operations, logistics and ecommerce, among other key business functions. An enterprise IT leader by the 1990s, SAP expanded into the SMB market in 2001 when it acquired Israeli company, TopManage, which developed small business software. This became SAP Business One in 2003. 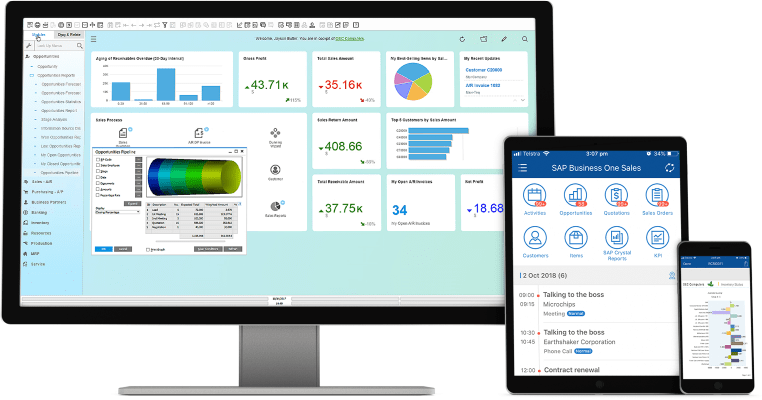 Eleven significant version releases later, SAP Business One is a robust, refined ERP system built for the needs of SMBs but inspired by the advances and best practices of SAP’s enterprise solutions. Fully move your business to the cloud. With SAP Business One Cloud, all your key business processes go cloud-native, including financials, sales, inventory, production and logistics. This gives you complete real-time access to your company’s data from any location at any time. It also cuts down on deployment time, reduces costs, increases scalability, boosts security, and eliminates the need for costly hardware and software maintenance. Spend less time maintaining your IT systems and more time running your business. Reliability and security matter, so SAP Business One Cloud runs on the industry-leading cloud platform that powers much of the web, Amazon Web Services (AWS). When you choose SAP Business One Cloud, you automatically upgrade the data security of your business by taking advantage of the world-class data protection built into the AWS cloud. AWS uses state-of-the-art data security and loss prevention technology trusted by governments and businesses worldwide, including agencies that require security strong enough for top secret clearance. AWS infrastructure also is 20 times more reliable than typical commodity disk drives, ensuring that all your business data stays safe from hardware and software malfunctions. Reduce IT costs with SAP Business One Cloud by reducing implementation time and eliminating hardware and software maintenance. You also transform a large capital expense into a small ongoing operating expense. Expand access to your data and business processes by making it accessible from any computer or mobile device with an internet connection. With SAP Business One Cloud, distributed teams, field service, traveling employees and remote offices all can access the data they need when they need it. Only use the resources your business needs, and easily scale as you grow. Whether scaling for seasonal demand or because of long-term business growth, SAP Business One Cloud makes it easy to add or remove users and adjust your computing needs as you go. Improve business agility with real-time data access and an IT systems backbone that easily connects with cloud services, can be reconfigured easily, always runs the latest technology, and requires no maintenance. SAP Business One Cloud makes your company more nimble. SAP Business One gives you visibility and control over your entire business. Increase efficiency, uncover new opportunities and make decisions in real-time with an ERP platform designed for SMBs and built to grow with your organization. Increase margins, cut down on errors and make better business decisions with robust financial management tools that help you streamline operations. Improve financial visibility with real-time access to all financial information within your company. Automate standard accounting processes such as journal entries, accounts receivable, and accounts payable. Track fixed assets, manage cash flow, control budgets and oversee project costs with precision and efficiency. Simplify management of fixed assets with automation and virtual functions that reduce the need for repetitive and manual data entry. Efficiently process bank statements, reconciliations and payments through a wide variety of methods, including cash, check, bank transfer and payment in kind. Build standard and custom reports with real-time data for better planning and audit review processes. Oversee the entire sales process and customer lifecycles at a glance. Easily manage sales processes and oversee the complete customer lifecycle from first contact to close, all the way to after-sales service and support. Develop, manage and assess marketing activities for turning prospects into customers and increasing sales and profitability. Monitor opportunities and leads throughout the full sales cycle. Synchronize and store all customer data in one location and make it accessible through Microsoft Outlook and other systems. Meet GDPR and other regulatory requirements for customer data security and accessibility. Develop and manage warranty contracts and service agreements. Create custom reports or use templates for each part of the sales process, including forecasting and pipeline management. Empower sales staff by enabling them to access and update product and sales information in real-time from their laptop or mobile phone. Oversee all aspects human capital management quickly and easily, whether staff or independent contractors. Hire, onboard, track utilization and stay compliant with government, state and local regulations all from a single platform. Manage all employee data, including contract details, salary, overtime, holiday, leaves of absence, and loans. Track attendance and run automated payroll calculations and pay stubs. Assign and manage vacation days, calculate carry-over leaves, and auto-generate employee status reports. Set up earnings and deduction rules, end of service processes and gratuity calculations. Manage employee loan plans and installments, collect payments and reflect loans on pay stubs. Automate payments and pay stubs. Create and manage air ticket rules by employee, manage airline ticket issuing and automatically reimburse for unused air tickets. Take complete control of inventory with end-to-end inventory tracking, automated reporting and advanced management functions that cut down on inventory issues and wastage. Make smarter inventory decisions with detailed reports on stock transactions and inventory valuations, inventory counts, BOMs, production planning and material requirements. Track inventory in real-time by item or bin location. Manage inventory in multiple warehouses and locations using FIFO, actual by lot or serial, moving average or standard costing. Use serial and batch management for tracking goods throughout the inventory cycle. Produce complete item list, transaction and valuation reports. Use min/max designation and reporting. Maintain multiple units of measurement and item price in both local and foreign currencies. Capture goods receipts and goods issues automatically. Set up consignment, drop-ship and back-to-back order processes. Enable pick and pack fulfillment. Initiate inventory cycle counts to avoid full physical inventories and stock counting delays. Improve production efficiency and quality control while driving greater margins with comprehensive production management tools. Issue and maintain multilevel bills of materials (BOMs) with items, resources (capacity), and text (instructions). Calculating material requirements with forecast wizards. Manages prices for BOMs at global levels. Plan better with pool controls that can be defined by volume of work. Issue production orders manually or by backflush. Execute quality tests during material flow from initial procurement through the complete manufacturing process. Use advanced planning and scheduling tools for viewing order times, lead times, transition periods, capacity allocations, BOMs, batch groups and resource availability. Manage supply chains with real-time visibility through EDI, blanket orders and automated transaction triggers. Cost estimate for standard and custom manufacturing with automatic profit margin calculation. Deploy custom dashboards for quick production data access and flexible ad-hoc queries and analysis. Manage product variants to configure, calculate and integrate with existing products. Oversee projects with real-time, cross-functional project management reporting that includes manufacturing and logistics management, cost accounting, controlling, among others. Optimize purchasing with greater pricing and availability visibility and complete control over management of the order-to-pay cycle, including invoices, receipts, returns and payments. Simplify procurement processes such as purchase order and good receipts creation, requisition requests, and returns management. Audit more easily with matching documents, viewing information trails, and multi-currency support. Centralize purchasing for visibility and greater control of spend. See account balances and analyze purchases alongside detailed item information including price lists and tax information. Manage supply chain disruptions and optimize supplier relationships with real-time visibility into availability and cost. Process invoices, cancellations and credit memos with purchase order reference numbers. Schedule purchases and oversee future material needs. 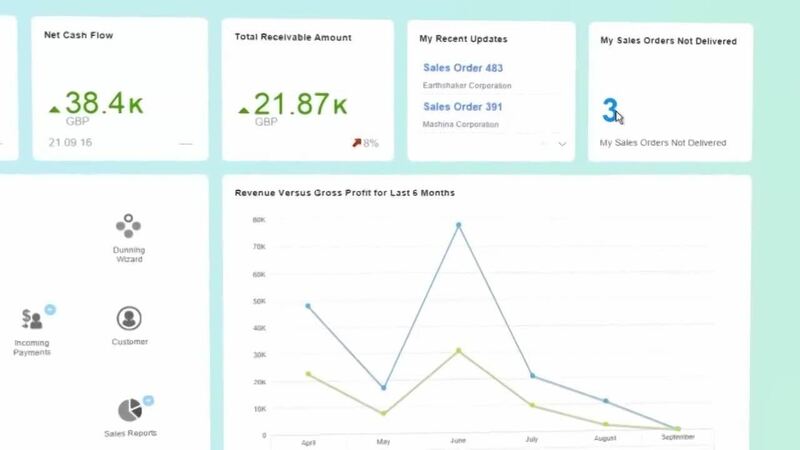 Automatically create integrated reports with real-time data and push these reports to dashboards, desktops and mobile devices. Spot trends and improve decision-making with BI, analytics and reporting tools that make sense of your company’s data. View data from multiple sources and create or customize reports without the need for IT overhead. Analyze data without a learning curve by using standard Microsoft Excel functionality. Improve the speed of analysis with drag and drop, data set relations, drill-downs, search and workflow-based alerts. Create intuitive BI dashboards with an interactive dashboard builder. Quickly improve visibility with predefined key performance indicators. Enhance reports with powerful data visualization tools. Streamline reporting and improve insight with automation and easy-to-use analytics tools. Generate reports with integrated data from across the company. Automate creation of standard and custom reports. Make data available in real-time with mobile access, dashboards and automated reports. Track KPIs in real-time such as revenue, cost and cashflow. Analyze data with a powerful analytics engine. Streamline data search and the creation of on-demand standard or ad hoc reports. Operate without system slowdown by running on SAP’s robust, in-memory SAP HANA platform for superior performance. Grow without worrying about performance issues, system tuning or scalability. Run embedded analytics and high-performance functions without system lag. Focus on business growth instead of IT systems management. Implement the system in the way you want with multiple deployment options. On-premise deployment for total system and security control according to your internal security policies. Cloud deployment for reduced IT management, lower deployment costs and maximum scalability. Mobile access for using the system from any location or computing device. Register for a 60-minute live demo of SAP Business One hosted by Navigator Business Solutions. During the webinar, you can ask questions and take a closer look at SAP Business One in action. Our live webinars are one of the best ways to explore how SAP Business One can help your business grow. Learn more and register for Navigator’s SAP Business One Live Demo. Companies do not exist in a bubble, and neither do their business systems. Through Navigator’s exclusive, cloud-based iConnect platform, SAP Business One automates vital business processes and eliminates manual data entry by bi-directionally sharing data with leading eCommerce platforms, EDI-based trading partner systems and other leading applications. This makes SAP Business One the hub for all of your data, even when the data comes from other systems. Navigator iConnect supports click integrations with all of the most commonly used connection types and web services. Less common applications and services also can be connected to SAP Business One through iConnect’s two-way translation layer. While SAP Business One meets the needs of most small to mid-market businesses, it isn’t right for all firms. That’s why SAP Business One offers a wide range of industry-specific solutions configured for the unique needs of specific markets. SAP Business One is highly extensible with more than 250 integration points and a robust software development kit that its network of SAP-certified solution providers have used to craft specific solutions for industry. These industry solutions are built on the same SAP Business One or SAP Business ByDesign platforms used by more than 600,000 businesses worldwide, with special configurations and added functionality. SAP for Life Sciences helps SMB life sciences firms through each stage of their evolving business by providing cost predictability for pre-revenue, capital intensive clinical trials, scaling and distribution phases, as well as added regulatory, traceability and validation functions required by life sciences firms. Learn more about SAP for Life Sciences. SAP for Consumer Packaged Goods Manufacturers provides wide integration with suppliers, retail stores and eCommerce solutions, as well as robust serialization and warranty support for businesses that focus on consumer products. Learn more about SAP for Consumer Packaged Goods. 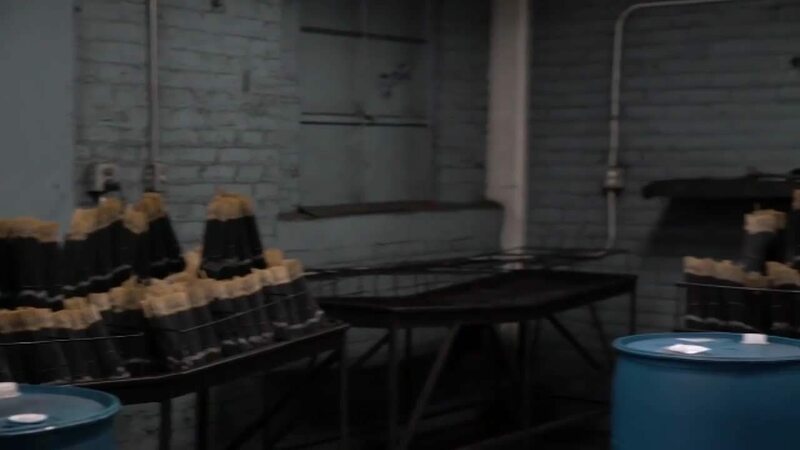 SAP for Manufacturing is tailored for managing complex supply chains, enabling just-in-time delivery, tracking production, supporting multi-location shipping, connecting with vendors and suppliers through EDI and other manufacturing-specific requirements. Learn more about SAP for Manufacturing. SAP for Professional Service Organizations helps consultancies and professional service organizations of all types identify revenue leakage, track and report regulatory compliance, fully utilize project and talent resources, and manage projects in real-time along with meeting other professional service organization needs. Learn more about SAP for Professional Services. SAP for Retail helps retail businesses handle complex supply chains, meet omni-channel customer support needs, manage multiple supplier and retail outlets, connect with eCommerce channels and accurately forecast product demand. Learn more about SAP for Retail. SAP for Wholesale Distribution is tailored for distributors that need to manage supply chains, logistics, warehousing, inventory, eCommerce, promotional pricing, rebate offers and the many other variables that come with the wholesale distribution business. Learn more about SAP for Wholesale Distribution. SAP Business One Cloud runs on SAP HANA, the industry-leading in-memory computing platform that delivers blazingly fast application performance for processing and analyzing large volumes of data in real-time. By choosing SAP Business One Cloud, you free your business from the performance issues and hardware maintenance that comes from running on your own IT infrastructure. SAP HANA is simpler, easier and faster than running applications on your own hardware. Efficiency. Advanced search capabilities and interactive analysis tools help employees get the data they need without assistance from the IT department. Value. A simple, scalable IT solution with the power to drive a Fortune 500 company but a price point SMBs can afford. Business Intelligence. A single platform that combines transactions and analytics with pre-build BI applications for greater insight. Agility. Real-time business information that is accessible from anywhere to help drive faster decision-making. Real-time data access across your entire organization. Ready out of the box, including dashboards and report templates. Reduced total cost of ownership by not having to maintain hardware and software. Faster responsiveness for sales, production, logistics, accounting and other business functions. Quick interactive report generation for better decision-making. Simplified IT management from having a single system both for transactional data and analytics. Sophisticated Available to Promise (ATP). Monitor and reserve ATP in real-time, suggest delivery schedules and control quantity, and easily reschedule when needed. Complete Delivery Schedule Management. Check order status and ATP, view alternative items, expedite or reschedule sales orders. Reliable Cash Flow Forecasting. Get real-time cashflow visibility with advanced forecasting. Easy Analytics. Build reports with a drag-and-drop report builder that doesn’t require technical knowledge. Faster Dashboard Creation. Design interactive dashboards with point-and-click ease for faster data sharing and deeper analysis. Enterprise-Grade Search. Find transactional data quickly with Google-like search capabilities, apply filters, and drill down to specifics while maintaining corporate data security policies. 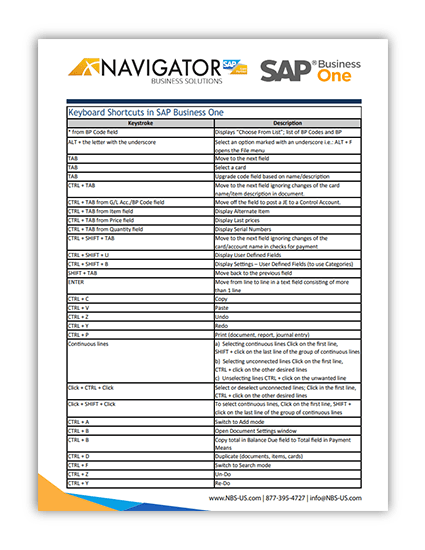 Navigator Business Solutions has helped small to mid-market businesses improve operations and drive greater profitability by assisting with more than 500 SAP ERP implementations over the past 20 years. Here are just a few of the many success stories from companies that have adopted SAP to drive their business. SAP Business One is more than just a complete ERP solution for small and mid-market businesses. It also makes a great choice for large enterprises that are pursuing a multi-tier ERP strategy. Large enterprises that expand into new markets, open satellite offices and acquire smaller companies often struggle with maintaining and integrating data from these smaller related operations. SAP Business One solves these problems by seamlessly integrating with the SAP software that powers large businesses. This easy integration gives large enterprises the best of both worlds. SAP Business One enables a two-tier ERP model where large enterprises can preserve their ERP investment and both quickly and affordably integrate operations with a subsidiary or satellite office while still enabling agility and responsiveness at the smaller organization. SAP Business One connects with all SAP solutions that run the ERP Central Component (ECC), allowing coordinated operation and shared processes, applications and data. Using SAP Business One for subsidiaries and satellite offices delivers the corporate standardization and control needed at large enterprises without the extra cost and integration headaches. Good thing you’ve got help every step of the way. Navigator Business Systems is an SAP certified Gold Partner and one of the top SAP implementation partners in the world. We have helped small and mid-market companies deploy more than 500 cost-effective, cloud-based SAP solutions over the past 20 years. Our proven service methodology has been designed for rapid results on SAP Business One implementations from the first day of service engagement onward. System implementation. On-time, on-budget SAP implementations. System configuration. Settings and processes for making SAP Business One work for your business. Software installation. Installation done the right way from the start. Data migration. Cleaning and transferring data among systems without any surprises.  User and system administration. Adding users with appropriate access rights and managing your company’s ERP system. Business process consulting. Advising on digital transformation, change management and business processes that get the most from SAP Business One. Custom application development. Building applications that support your unique business needs. Ongoing support services. Solving the problems you can’t solve alone. More about Navigator’s SAP service offerings. Contact Navigator Business Solutions at (801) 642-0123 or info@nbs-us.com for more information about SAP Business One and how it can help grow your company.